A Shore Based Test Facility (SBTF) for simulating STOBAR (Ski-jump Take-Off, But Arrested Recover) operations from the deck of an aircraft carrier has been operational for a while in Goa and is due to be formally commissioned later this month. The SBTF is already being used to train Navy pilots for INS Vikramaditya operations. In future it will be used to develop and certify LCA Navy before the aircraft's induction into the Navy on board Indian Aircraft Carrier (IAC) INS Vikrant, which is currently under construction at Cochin. DRDO was to demonstrate LCA Navy's deck operation capability at SBTF, Goa by mid 2014, but that is not likely to happen. 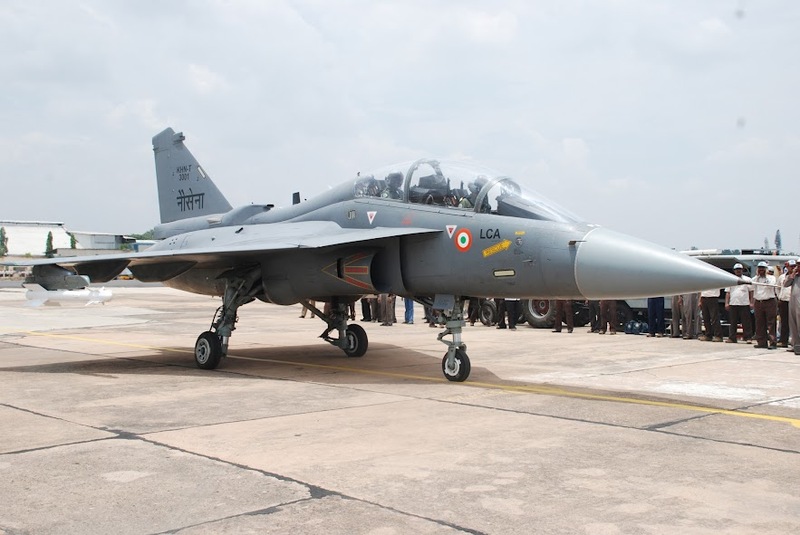 Progress in developing LCA Navy - which first flew in on April 27, 2012 - was first stymied by problems with its redesigned and strengthened undercarriage. We can now expect more delay on account of a need to tweak the LCA's Flight Control Software (FCS) to facilitate deck operations. The LCA-Navy FCS was reportedly developed with assistance from National Aerospace Laboratory (NAL) and validated by the US Navy. However, Aeronautical Development Establishment (ADE), Bengalure, has recently sought assistance to incorporate new features in OFP (Operation Flight Program) Software for LEVCON Air Data Computer (LADC), along with updates in the existing algorithms based on flight test results. LADC is part of Digital Fly by Wire FCS. The Quadruplex LADC would provide control logic and commands for the LEVCON actuation system, compute the control laws and mode logics for ski-jump, Auto throttle modes, Arrest hook systems etc. The computer also derives the necessary air data parameter required for the Flight Control System. LCA Navy will feature hands-off take-off using ski-jump to ensure smooth transition to stable flight, and hands-off landing using steady AOA, autothrottle approach, flareless touchdown, and arrester hook engagement. During take-off and landing the pilot will be required to only give steering inputs to stay on the center line.